Dr. Papic graduated with her bachelor?s and medical degrees from the University of Minnesota. She then completed residency training in internal medicine followed by a fellowship in hospice and palliative medicine at University of Minnesota in Minneapolis. 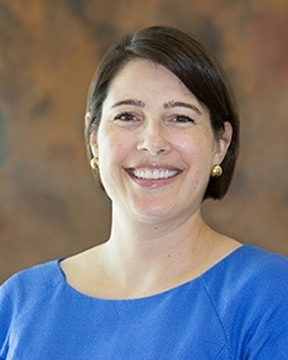 She has served as an internal medicine hospitalist ... Read More at Abbott Northwestern Hospital in Minneapolis, Minnesota, and comes to Pensacola from the VA Nebraska-Western Iowa Health Care System in Omaha, Nebraska, where she practiced palliative medicine and led the palliative care team. Dr. Papic completed the University of Minnesota?s faculty-development fellowship, focusing on teaching strategies and curriculum development in medical education. She has served as a clinical instructor for the department of internal medicine at Creighton University School of Medicine. During residency, she received the peer-selected Jeevan Paul Humanitarian Award for compassionate care. Dr. Papic treats adults living with a serious illness. Her focus is on providing relief from the symptoms and stress of serious illness and improving quality of life for both the patient and family.